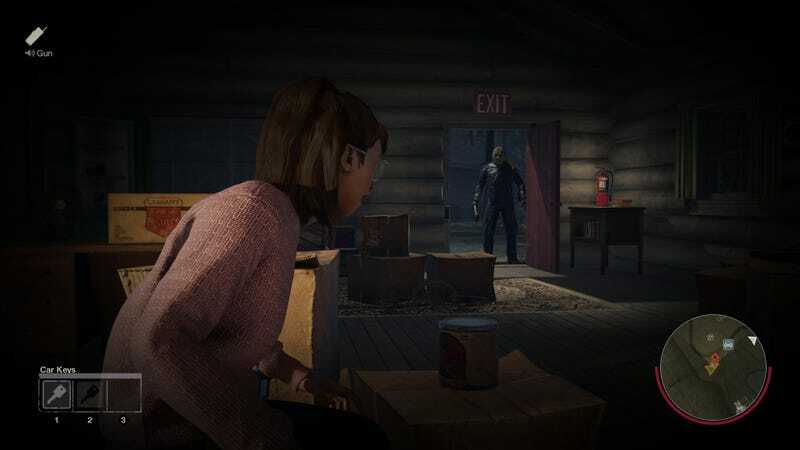 The developers of the Friday the 13th video game say they’re canceling all future DLC because of an ongoing lawsuit regarding the franchise. Since 2016, Victor Miller, the screenwriter of the original Friday the 13th movie, has been engaged with a legal dispute regarding his work on the film, which has prevented any new movies in the franchise from being made. For a while, the game avoided this dispute, but according to the developers at Gun Media, they’re now forced to cancel their planned downloadable content. “When we originally learned that the game fell within the crosshairs of this legal dispute, we tried to balance the creation of new content requested by our fans against the maintenance and bug fixing that our community expects and deserves. We attempted to do both within the limits of the legal case,” they said in a press release today. “We’ve now been forced to accept that the lawsuit makes future content for the game, including alternate play modes, new playable Jasons and Counselors, and new maps, unfeasible now or in the future.” Canceled content includes “Uber Jason,” the Grendel Map, new cosmetics and new counselors. Although Gun Media can’t make any new content for Friday the 13th, they say they are still dedicated to launching dedicated servers for consoles and maintaining the game as it currently exists.